Convenience stores are being encouraged to concentrate on impulse and novelty immediate consumption lines to boost their chances of a cracking Easter, while keeping stocked up in other key spring lines. To replicate any sales success from 2014 this Easter retailers will need to work harder than usual. Due to the nature of Easter dates, the holiday falls on 5th April this year, two weeks earlier than last year. For most retailers, stock began being sold as soon as space was cleared of Christmas offerings. As with previous years it will be products for immediate consumption that drive sales in convenience. While it pays to have a range of best-selling small and medium shell eggs it’s virtually impossible to compete with supermarkets on price and so selling pallets of them shouldn’t be considered key to Easter success. Sound advice, but with such a huge array of products arriving in the first few weeks of the year it can be tricky to know which lines to stock – and how much to order. Of course, members of buying groups are ably assisted here, but even then, getting your head around new and returning Easter lines can be a headache. 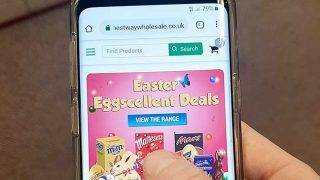 With the run-up to Easter responsible for around 10% of annual chocolate spend, it’s little wonder that supplier invest heavily in grabbing as large a share of this market as they can. Mars this year will be harnessing its Easter line up around M&M’s, Mars, Galaxy, Maltesers and Celebrations. Its Malteaster Bunny is back and a TV and poster campaign will be pushing sales, with the strapline: ‘Catch them while you can!’. Malteaster five pack mini bunnies are also available in a case and on a clipstrip, which retailers can place in disruptive sites around store, such as the bakery aisle. Spinning off from this is a new campervan gift pack for anyone looking for an alternative to the traditional egg – it contains a ‘family’ of two standard size bunnies and seven mini bunnies, ideal for sharing. Following a successful launch last year, Burton’s Biscuit Company is bringing back Cadbury Creme Egg Biscuits. Available as a limited edition until Easter Monday, Cadbury Creme Egg Biscuits will be back by popular demand. “During their first Easter, Cadbury Creme Egg Biscuits drove category growth within special treats, ahead of sweet biscuits, bringing in an additional 850,000 buyers to Cadbury sweet biscuits over 17 weeks; a great example of Burton’s success in the field of category-boosting innovation,” says David Costello, Burton’s Biscuit Company’s Head of Customer Category Management. A three pack of Galaxy filled eggs is also new for 2015, and will compete with the Cadbury Creme Egg multipack, which has found itself in the headlines for reducing the size of its multipack from six to five – though the price has been reduced as a result. In fact, Creme Egg had what Mondelez called a ‘fantastic season’ in 2014 and so the company will be looking to replicate that success this year. So, the brand has a £3m marketing investment from now until April, including TV, digital, PR, in-store and outdoor activity. The Gooless Egg promotion is also back, with retailers as well as consumers set to win. Running until Easter Sunday, one winner every day will unwrap a gooless egg and win up to £1,000. And consumers will not be the only winners in the promotion – Mondelez International will match the prize for the retailer where the winner buys their egg in either Mondelez International stock vouchers or Love To Shop vouchers, meaning they get a share of the promotion. New launches for this year include Cadbury Dairy Milk Freddo Sprinkles – the fun chocolate frog containing sugar sprinkles for spring, with PMPs at 25p. Cadbury Mini Eggs is introducing a 231g Gift Egg pack containing six mini. This year will see a £2m investment in Cadbury Dairy Milk Egg ‘n’ Spoon while the packaging will also be refreshed, with a new outer case structure for even better shelf stand-out. The big promotion from Ferrero’s Kinder brand this year is Kinder Surprise Storymakers. The promotion encourage children and their parents to create their own story online about their Kinder Surprise toy, which will be captured in a real personalised storybook that can be treasured as a keep-sake. Kinder Surprise Storymakers will appear on all Kinder Surprise packaging from March to May, driving shopper interest further with vibrant packaging. Limited edition cakes are on the menu at Premier Foods, and no wonder. 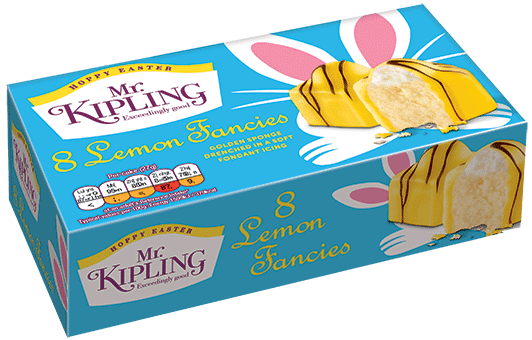 2014 saw the Mr. Kipling Easter cake range grow 4.3% , contributing four of the top ten selling branded Easter cake lines. In 2015 it aims to emulate this success with its newly redesigned packaging. The new design ensures that the range is easy to navigate, re-inforces the quality of the cakes and modernises the brand without alienating its loyal customers. The brand’s must stocks are Lemon Viennese Whirls, St Clements Slices, Lemon Bakewells and Lemon Fancies. Premier’s Cadbury-branded cakes will also be heavily promoted. The Cadbury’s Mini Egg Easter cake range ranked first and second in the top 10 selling branded Easter cake lines last year with the full Cadbury Easter range displaying YOY growth of 8.3%. Ensuring availability of the Mini Egg cake range up to the Easter weekend will be a key focus for Cadbury. Grand Rocher is a new novelty line from Ferrero this year. It involves the classic hazelnut and chocolate outer shell at a larger scale and will contain two individual Ferrero Rochers wrapped together in Ferrero packaging, tied together with a gold ribbon. Ferrero Rocher will also return to TV with its £7.3m campaign on 23rd February 2015. 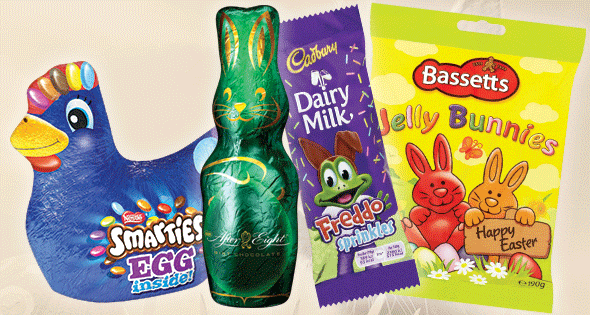 Nestlé Confectionery’s big boast this Easter is that 80% of its range is either totally new or has been improved. The company says that seasonal impulse products offer retailers a huge incremental sales opportunity on top of their existing singles confectionery sales. It is a popular area of Easter confectionery and in the convenience channel it grew ahead of the market +15.9% (£5m) in 2014. To emphasise the growth of filled eggs, Nestlé has launched Aero Bubbly Egg (rrp 65p), while elsewhere the Smarties Little Choc Chick (rrp 65p) and Milkybar Bunny (rrp 65p) both return. Smarties Mini Eggs and Milkybar Mini Eggs both grew ahead of the market last year, and with a motivating £1 price point, as well as contemporary new packaging designs for 2015, they are likely to prove just as popular this year. Returning to Nestle’s kids range are the Smarties and Milkybar Farmyards. The Smarties Farmyard contains a hollow milk chocolate egg and a Smarties Chicken and Egg, whilst the Milkybar Farmyard features a hollow white chocolate egg complete with a Milkybar Cow. Both have an rrp of £4.99. The innovative Hen House and Milky Barn shaped boxes offer the opportunity for kids to enjoy the fun of Easter even after the chocolate has gone! Also in the range for 2015 are the popular Milkybar Cow (rrp £1.50) and Smarties Chicken (rrp £2.55), which comes complete with a chocolate egg. These hollow figures, made from no artificial colours, flavours or preservatives, make perfect top-up Easter gifts. When considering shell eggs, retailers should focus on medium shell eggs from top-selling brands, says Mondelez. In 2014, Cadbury Creme Egg Medium was the number one shell egg in independents and symbols. 2015 will see new variants in the Cadbury ‘adult token gesture and main gift’ range, with Cadbury Heroes, Cadbury Dairy Milk Oreo and Cadbury Dairy Milk Caramel joining the range. And Cadbury Dairy Milk Buttons and Cadbury Dairy Milk Marvellous Creations will come with new designs. At Mars, a new Celebrations large egg launches, while the usual array of medium and large eggs are available. Overall extra large eggs are the fastest-growing part of the market, though whether their success reaches to convenience remains to be seen. 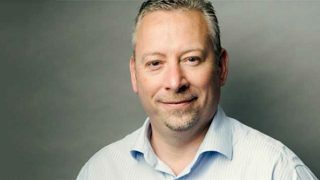 Tony Lorman, Retail Excellence Director, Mars Chocolate UK, says: “There is a bigger appetite than ever for innovative Easter gifts and treats and we have made it easier for retailers to maximise sales with our range of new and existing products and eye-catching POS. Ensure your customers can easily pick up Easter treats from your store and drive impulse sales of self-eat products by placing them in a high footfall location”. There are a huge array of eggs available in all sizes from Nestle including the Milkybar small egg, which the company says is a must stock, while its ful range includes offerings from Smarties, KitKat Chunky, Aero and Rolo. Its new ‘Inclusion Eggs’ feature Matchmakers Matchmakers Mint Egg, Matchmakers Orange Egg and Nestle Crunch Egg (all rrp £3.00). Spring isn’t all about Easter of course. There’s Valentine’s and Mother’s Day to help fill the coffers. That’s why it’s so important to maintain good stock levels of boxed chocolates throughout, from the traditional to the contemporary. These other occasions are worth around a third of Easter itself, so there are plenty of reasons to stock up. Mondelez International leads the way during the spring season, accounting for 24% of gifting and sharing sales. These ‘mini seasons’ are important with Valentine’s Day and Mother’s Day being the key to the success of giving and sharing during the season, worth £33.3m and £31.5m in value sales respectively. Valentine’s Day is the largest mini season at £33.3m, and the fastest growing at 6%. Meanwhile, Mother’s Day is worth over £31.5m and also growing at 6%. 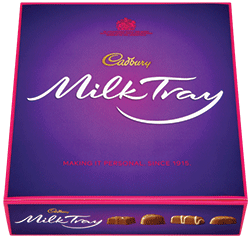 One of the leading lines at this time of year is Cadbury Milk Tray, which rose by 13% in value last year. The brand will celebrate its 100th anniversary in 2015, and plans for high-profile marketing activity to mark the occasion will keep it front of mind for consumers throughout the season. At Mars, Celebrations leads the way. This year the range of 70g, 245g and 388g tubs are available with the 245g coming in a new prefilled POS display. Boxed Maltesers is another staple line for any retailer to stock during the Easter season, thriving during the whole of the Easter period in 2014. Raffaello from Ferrero is being heavily supported this Easter. Alongside the Ferrero Rocher Mini Cube pack, Ferrero will be launching a seasonal Mini Cube pack of Raffaello, containing six almond and coconut treats. The pack will feature a fresh spring design making it an ideal seasonal present, especially for Valentine’s Day and Mother’s Day. Following the launch of Ferrero Golden Gallery in September, the premium assortment range will be further leveraged during spring. 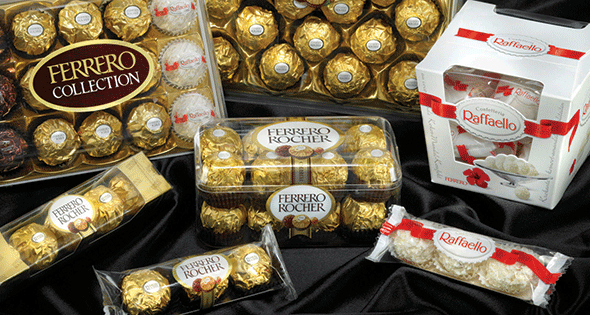 Ferrero Golden Gallery contains individually-wrapped chocolates and is available in a 22 pack at rrp £7.99 and a 45 pack at rrp £14.99.